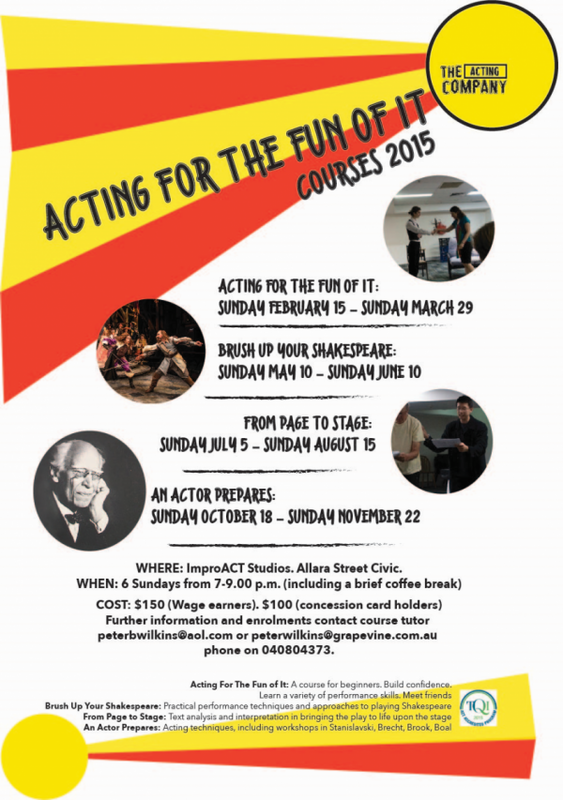 Long-time Canberra theatre teacher Peter Wilkins is running a series of acting courses throughout 2015. A course for beginners. Build confidence. Learn a variety of performance skills. Meet friends. For further information and enrolments, contact Peter Wilkins (peterbwilkins@aol.com or 0408 043 373). Peter really is a fantastic teacher. I’ve seen so many students from Narrabundah College who have been enriched by the great drama teachers they have had there. Ernie Glass was another great teacher who worked with Peter for many years, not to mention all of the wonderful former students who would come back after graduating to help out with the the theatre productions.